Rockingham County Property Management, Rockingham County Property Managers, Rockingham County Property Management Companies | Priority Property Management LLC. We offer a full range of property management services tailored to you as an investor, homeowner, or landlord to manage and maximize the value of your residential property. 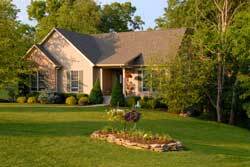 We have an extensive portfolio of single family homes and townhouses and multi-family units in Harrisonburg, Rockingham County and the surrounding Shenandoah Valley. Priority Property Management LLC is committed to providing quality residential property management to Harrisonburg and the surrounding areas Shenandoah Valley. Our goal is to maximize each home’s potential from comfort and appearance to investment and profitability. We achieve this by holding ourselves to the highest standards to steward your property well. Interested in finding out more about our management and leasing services? We offer a FREE Rental Analysis to equip you with the information you need to make the best leasing and management decisions. Our goal is that you will gain new insight and become fully informed about your options to make the best leasing and management decisions, ... Cost to Owner: FREE! Priority Property Management offers full-service management so you don't have to stress! Let us worry about property maintenance, communicating with your tenants, and keeping up with rent collection. We will manage ALL aspects of caring for and maintaining your property. Do you struggle to find the right tenant for your property or wish you could find an easier way to market your property? Let Priority Property Management take the headache out of leasing! We will market your property and find a quality tenant for you. Once a tenant has been selected and the property is leased, you will resume the day-to-day management of your property. Interested in any of these services? Contact us for more information and to request a free professional rental analysis. The County is proud of its deep agricultural heritage. It leads Virginia in poultry production, and two turkey statues, one at either end of Route 11, indicate that the county is the "Turkey Capital" of Virginia. The annual Rockingham County Fair is one of the top fairs in the nation, and the county has a sizeable old-order-Mennonite farming presence, supporting numerous farmers' markets. Rockingham County is home to a large section of the Shenandoah National Park and Skyline Drive, with an entrance point at Swift Run Gap. Boasting numerous hiking and walking trails, as well as scenic overlooks and waterfalls, the park is one of the focal points of Shenandoah Valley tourism. Numerous caves dot Rockingham county, including Grand Caverns in Grottoes, VA. The county also is home to a large section of the George Washington National Forest, offering camping and outdoor activity. Massanutten Resort offers two golf courses and an indoor water park, as well as seasonal skiing, mountain biking and river rafting.